How do you know if your dog’s food is Biologically Appropriate™? It’s simple, just answer our Biologically Appropriate™‘three meat questions’. 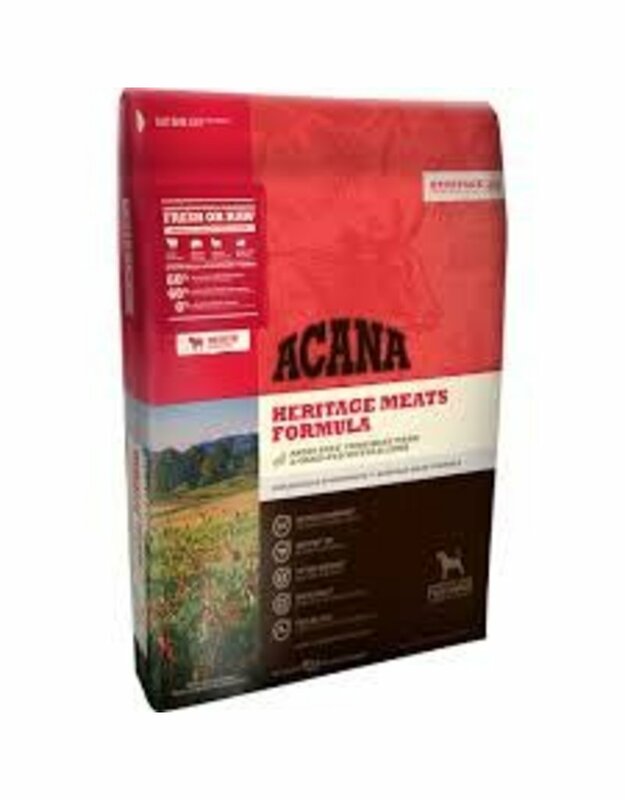 Entirely free of plant protein concentrates, ACANA Heritage Meats is loaded with 60% red meat ingredients — up to twice as much as most pet specialty dog foods. 1/2 of the meat in ACANA is FRESH, supplying essential nutrients in their most nourishing form, and the other 1/2 is dried to provide a strong and natural source of nourishing animal protein. 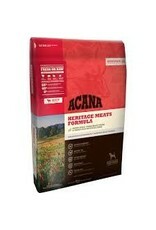 ACANA features three fresh meats in WholePrey™ ratios that include meat, organs and cartilage that supply nutrients to your dog naturally and completely. Angus beef – meat, tripe, liver, kidney and cartilage, fresh from local ranches. Yorkshire pork – meat, liver, kidney and cartilage, fresh from local Kentucky ranches. Grass-fed lamb– meat, tripe, liver, kidney and cartilage, fresh from local ranches. In Mother Nature’s kitchen there are no synthetic supplements, and dogs and wolves derive all of their nutritional needs by consuming whole prey animals; muscle meat provides protein; liver, kidney and tripe supply vitamins and minerals; bones and cartilage deliver calcium and phosphorus.